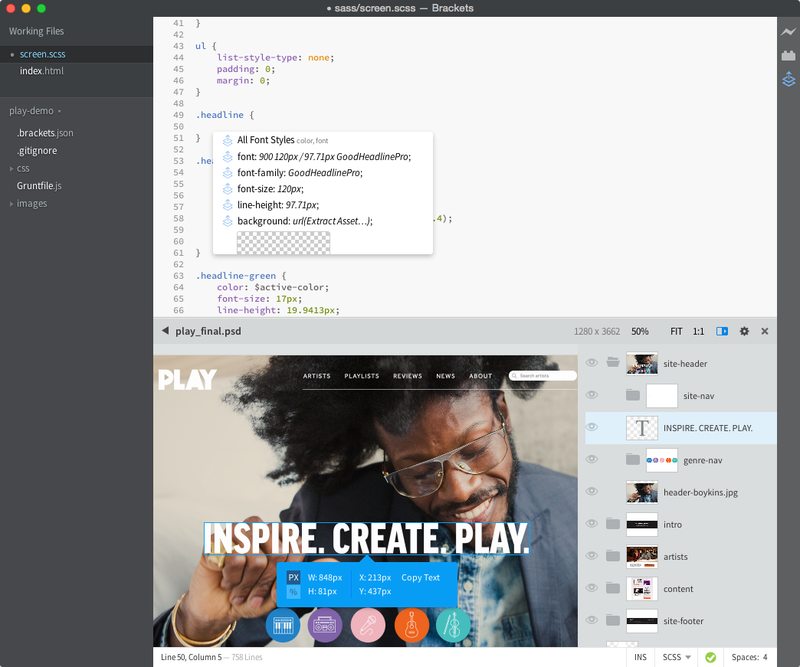 Brackets can establish a live connection to the locally installed browser with activated “Live File Preview” Show changes to the CSS code in real time even when typing in the browser, without having to be stored in between. (Currently only supports Google Chrome). Web projects usually consist of multiple files, but which are linked together. Rather than display a tab for each file, so that you can switch between easily, Brackets provides a feature called Quick Edit, which is called with the key combination PC [CTRL + E] or Mac [CMD + E]. PHP code can be automatically checked with the Lintyai extension and errors are indicated by a red bar in the left gutter. Brackets can open GIFS too. Now we have Brackets installed on Debian/Ubuntu. If you have any problem feel free to leave a comment below.